In place of reputation management, companies are being challenged to move to a more meaningful kind of engagement: trust. Eighty years ago last month, Robert Wood Johnson sent a letter to every major industrialist in the US, arguing that businesses had a responsibility toward society and could only build real trust when it engaged all stakeholders in an authentic way. "Industry only has the right to succeed where it performs a real economic service and is a true asset," he wrote. With many struggling through the Great Depression, it’s hardly surprising the business executive’s ideas weren’t widely adopted. But at Johnson & Johnson, the principles embodied in our former CEO’s letter became our credo – defining our responsibility, first, to the doctors, nurses, patients, and consumers we serve; then to employees; communities where we live and work; and finally, to our shareholders. The pre-television world that gave birth to that credo couldn’t be more different than the mobile-social-digital world PR pros operate in today. But the wisdom of yesterday has gained new currency in the information age. At a time when every brand is being discussed and dismantled across social media, it’s naive to believe the old tools of building and protecting a company’s image are still effective. In place of reputation management, companies are being challenged to move to a more meaningful kind of engagement: trust. As in Johnson’s day, it cannot be demanded, taken, or presumed – trust must be earned. It must flow from listening and engagement that shows a company’s commitment more than it tells. It must be sustained every day among all company stakeholders. The way to build trust is by driving social value. Since comms pros have a lens across all stakeholders, we are in a unique position to drive meaningful conversations while taking advantage of new opportunities to activate the authentic character of our companies. How? The first way to strengthen external bonds of trust is to re-engage internal stakeholders. Studies reinforce what good companies have long known: Employees aren’t motivated simply by higher earnings, but also by contributing to a higher purpose. On the 70th anniversary of our credo, for example, J&J asked staff what made them proud of our company – and heard suggestions about what we could do better. Recently, we acted on one such suggestion, announcing that all new parents will have the opportunity to take eight additional weeks of paid leave. Building trust isn’t just about articulating your values, but living them. Second, if channels don’t exist that enable you to fully engage your values, build new ones. In the age of engagement, external stakeholders are also seeking new ways to build trust, which can lead to partnerships. The Ebola crisis was an opportunity for J&J to better serve doctors, nurses, and patients. We committed $200 million to significantly accelerate the production of a vaccine – working in partnership with some of our competitors. We are on track to deliver a million doses of the vaccine regimen to health professionals. It came through leveraging the talents of the broader community to serve the needs of our stakeholders. Third, building trust means taking the initiative to meet unmet needs in your community. Taking the initiative to solve these needs deepens stakeholder trust. Take nursing. In 2002, J&J launched the Campaign for Nursing’s Future, working with stakeholders across the community to fill an expected shortfall of nurses in the US. Through scholarships and other outreach programs, we helped add 750,000 new nurses since the campaign began. Meeting unmet needs sometimes means acting alone. Last year, we became the first major medical device manufacturer to share clinical trial data for our devices and diagnostics with Yale University. Recently, we became the first pharma company to formally seek advice from outside medical ethicists at New York University for compassionate use requests from seriously ill patients to use experimental medication. Why? In both cases, because transparency serves our community best. Through mutually beneficial relationships, sustained over time, we build trust – and when that happens, our reputation benefits as well. As Johnson knew, it requires courage to hold ourselves accountable – but it’s also more meaningful to the stakeholders we are privileged to serve. 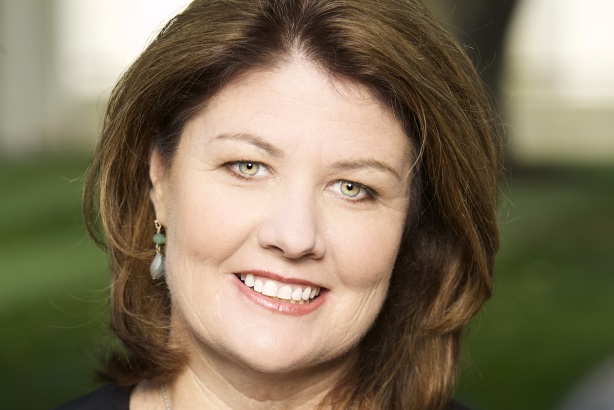 Maggie FitzPatrick serves as CCO at Johnson & Johnson.